We in the Python community have a deep appreciation for the volunteers who organize, promote, and write the language. A phrase that has become a cornerstone of our community, afterall, ‘Come for the language, stay for the community’ (derived from Python core developer Brett Cannon’s opening remarks at PyCon 2014), reflects the passion of our community and more so of the countless volunteers building our community. RESOLVED, that the Python Software Foundation award the Q3 2018 Community Service Award to Mariatta Wijaya for her contributions to CPython, diversity efforts for the Python Core Contributor team, and her work on PyCascades. At Montreal PyCon 2015, Guido Van Rossum delivered the closing keynote during which Guido issued a public ask, “I want at least two female Python core developers in the next year ... and I will try to train them myself if that's what it takes. So come talk to me." Consequently, Mariatta did just that, she reached out to Guido after PyCon 2016 to learn more about starting in Python core development. Mariatta recalls, “I hadn’t contributed to open source [yet] and I wanted to know how to start”. Guido recommended some ways for Mariatta to start including reviewing the dev guide, looking at open issues and joining and introducing herself on the Python dev mailing list . Following Guido’s advice, Mariatta “read the issues [to] see if there is anything I can help with, anything that interests me ... [when I learned that] Brett was starting migration [of Python] to GitHub”. As an engineer at Zapier, Mariatta has a background in web development so the migration provided an initial issue she could begin to explore. Mariatta has since contributed to several bots that improve the workflows for Python contributors and core developers, reviewed and merged 700+ PRs to Python, and is Co-Chair of the Language Summit in 2019 and 2020. Some examples of bots she has written include cherry-picker, a “tool used to backport CPython changes from master into one or more of the maintenance branches”. Additionally, Mariatta is the author of PEP-581: Using GitHub Issues for CPython. Her motivations behind this PEP again come back to improving the core Python development processes, “I think it will be more beneficial to use an out of the box issue tracker like GitHub as it will allow core developers to focus on developing and contributing”. Mariatta’s PyCon 2018 talk titled, “What is a Core Python Developer” is an ideal example of Mariatta’s dedication to building a more diverse core Python team. Beginning with a question, “do you use f’strings” (Mariatta is a known avid fan of f’strings, she even has stickers for them) Mariatta dives into a talk about what the pathway is for core (and contributing) developers ultimately commenting on the very real, stark gender imbalance within the core team, “We have 848 contributors to Python, less than 10 are women. We have 89 core developers, only 2 are women ... This is real but this is also wrong. This is not the right representation of our community”. While this number is starting to change as more women are promoted to core development (Cheryl Sabella’s promotion this week ups the number of women core developers up to 5 out of 97), Mariatta has continued to be a champion and advocate for diversity and inclusion in the core development team. Even the captionist in Mariatta's PyCon 2018 (seen below in tweets) talk captured their appreciation for Mariatta's dedication. Outside of her contributions to CPython, Mariatta has been an active organizer with PyCascades - a regional Python conference now about to kick off its second conference this week. The inaugural 2018 conference, held in Mariatta’s hometown Vancouver, Canada, introduced a a single track format with 30 minute talks, no question and answer, and includes lightning talks. Inspired by the single track format of Write the Docs and DjangoCon Europe, this format was not only an easier way to get a new conference off the ground but, as Mariatta observed, “is able to give [speakers] the large audience they deserve”. This format also makes it easier for attendees to navigate. Co-Chairing the conference with Mariatta in 2018, Seb Vetter remarked, “Mariatta has been THE driving force behind PyCascades in the inaugural year”. As a co-chair Mariatta helped respond to many last minute issues such as when, the day before the conference at 10:00am local time, Guido informed the organizers he was unable to obtain a visa to travel to speak at PyCascades. Within a few hours, the team setup for Guido to speak remotely, had sent him a badge, when the team learned Guido would be able to attend after all! “When we found out he's coming, we printed one more badge for him. That's why he has multiple badges,” Mariatta explained. Juggling many changing priorities is the life of an organizer. Yet each decision made, “she ensured … considered the potential impact on the diversity of the conference,” Seb remembered adding, “[Mariatta] seems to have an endless stream of enthusiasm and energy and was our North Star for doing everything we could to make it as inclusive for attendees as possible”. 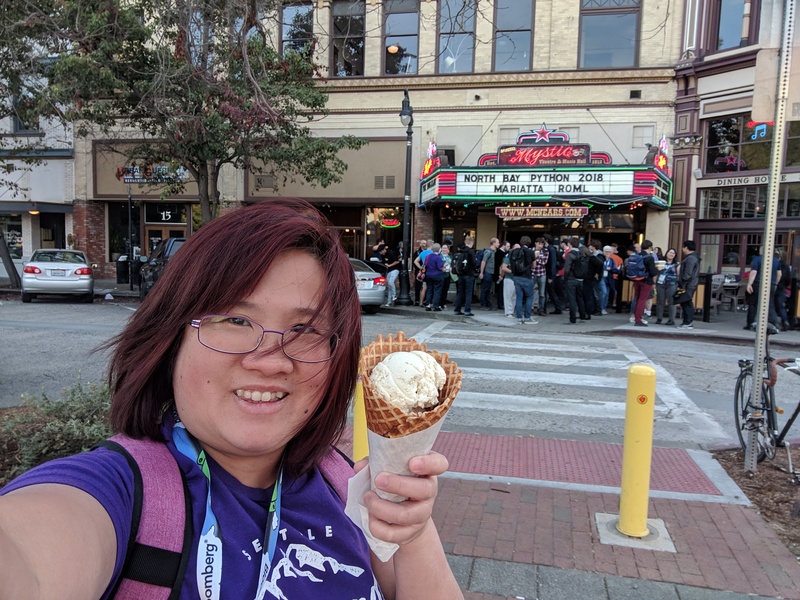 The idea of Mariatta acting as a North Star was echoed by PyCascades organizer Don Sheu adding, “she gives voice to folks that aren’t sufficiently represented in tech … [as a part of] PyCascades founding team, Mariatta’s influence is creating a safe environment”. With PyCascades 2019 happening in Seattle this upcoming weekend (February 23 - 24), Mariatta is again contributing as an organizer. What do f-string stickers and food have in common? Mariatta’s love of them! Outside of Python, when asked what else Mariatta likes to do she simply responded, “I love food!”. And her favorite food? Asian cuisine. #IceCreamSelfie at North Bay Python 2018. If you happen to see Mariatta at an event, say hi. Maybe she’ll have f-string sticker for you! The PSF community service awards go to those individuals whose work and commitment complement and strengthen the PSF mission: to support and facilitate the growth of a diverse global Python community. So when thinking about individuals that go above and beyond to support the global community Mario Corchero is a name that comes easily to mind. Not only is Mario a Senior Software Engineer for Bloomberg but he also devotes incredible amounts of his time to organise PyCon ES (Spain), PyLondinium, and more recently, the Spanish speaking track of PyCon: Las Pycon Charlas. Mario is the true embodiment of the Python community spirit and for this reason, the Python Software Foundation has awarded Mario Corchero with the Q3 2018 Community Service Award. RESOLVED, that the Python Software Foundation award the Q3 2018 Community Service Award to Mario Corchero for helping organize PyLondinium, the PyCon Charlas track, and PyCon Spain. With the growing popularity and global adoption of Python there also comes the need to bring together diverse community groups. Although large events such as PyCon US are incredibly important in bringing these groups together, these are not always accessible to the whole community. Smaller, localized events such as Python ES, France, Namibia, Colombia, and many many others help with the goal of bringing cohesion to the global community. According to David Naranjo (co-organiser of PyConES), PyConES was the first event of this kind that he and Mario attended together. They loved it so much that while at PyConES16 they decided to submit an application to organise and bring this event to their region: Extremadura. On top of the many challenges that come with organising an event of this type (i.e. drafting the programme, getting talks accepted, running the event on the day), they have faced an additional layer of complexity: neither of them lives in the region anymore. This has made the organisation of PyConES a true community effort: from the organising committee to the sponsors and the volunteers that work together to make this a huge success. PyConEs is now a staple Python event in Europe with more than 600 attendees every year, and it owes its success in a great deal to Mario’s efforts. A year after organising his first PyConES, Mario embarked on yet another journey: the organisation of PyLondinium. An event focused on showcasing the many use cases of Python as opposed to other events such as the PyData events. PyLondinium is not only focused on bringing together the Python community but also to raise money for the PSF and its programmes around the world. In this particular case, Bloomberg, a long-time Python supporter, has played an important role in the success of the event. Not only do they host the event at their Europe headquarters in the heart of London but they also help to cover some of the costs as the main event sponsor, keeping the ticket prices at an affordable level. As a passionate community builder, from a non-English speaking country, localization and accessibility of the Python language is something that matters to Mario. Most of the coding resources out in the world are written in English, which can be a barrier to those whose primary language is not English or simply do not speak the language at all. That is why when he was presented with the opportunity to chair the Spanish track of PyCon US 2017 (Las PyCon Charlas) he did so wholeheartedly, embarking into yet another community journey alongside PSF Director Naomi Ceder. Again, like his other endeavours, Las Charlas was an absolute success. It gathered people from all over from Latin America and Spain for a full day of talks in Spanish on such topics as machine learning, astronomy and security. In fact, it was such a success that the Charlas is back this coming year and the organisers are already receiving talks submissions (for more details visit https://us.pycon.org/2019/speaking/). When asked why he organises all of these events, his answer is rather simple and honest. It is usually driven by a ‘how come no one is doing this yet?’" says Mario. But when digging deeper it becomes evident that Mario’s motivations lie in bringing the community together and nurturing it. Mario is extremely dedicated to the community and helping others to get involved. From creating Spanish tracks for PyCon USA or creating events serving specific areas or regions, Mario is constantly finding ways to bring Pythonistas together. Going through the big names in the Python community, one would not likely miss Alex Gaynor. Alex was Director of both the Python Software Foundation as well as the Django Software Foundation, and he is currently an Infrastructure Staff member of the PSF. Overall, Alex has been a valuable member of the Python community, contributing to the structure of the PSF on an administrative level, and actively encouraging the growth of Python through his personal efforts. RESOLVED, that the Python Software Foundation award the Q3 2018 Community Service Award to Alex Gaynor for his contributions to the Python Community and the Python Software Foundation. Alex previously served as a PSF Director in 2015-2016. He currently serves as an Infrastructure Staff member and contributes to legacy PyPI and the next generation warehouse and has helped legacy warehouse in security (disabling unsupported OpenID) and cutting bandwidth costs by compressing 404 images. Alex attended Rensselaer Polytechnic Institute, where he received his Bachelor of Science degree in Computer Science. Originally from Chicago, he is currently living in Washington DC. In the past, Alex worked for the United States Digital Service on various impactful projects such as the United States Refugee Admissions Program and the Veterans Affairs disability benefits appeals process. He is now working for Mozilla on their Firefox Security Team. Aside from his contributions to the Python Software Foundation, Alex also served as a Director of the Django Software Foundation and a member of the Django core team. As mentioned in the resolution above, Alex is currently working as a PSF Infrastructure Staff member where he is working on legacy PyPI and the next generation warehouse. Alex has improved the legacy warehouse in security by disabling unsupported, the open standard and decentralized authentication protocol OpenID, as well as in cutting bandwidth costs by compressing 404 images. Glyph Lefkowitz, creator of the Twisted framework, additionally observed that Alex’s contributions across multiple projects, from PyCA's Cryptography, to Django, to CPython, to PyPy to Twisted, have been transformational for the Python ecosystem, and have, in particular, made it a much safer and more secure community for users. “When he sees a problem that needs addressing, his willingness to work across projects and layers is an ongoing source of inspiration for everyone that calls themselves a 'maintainer',” noted Glyph. Additionally, to anyone out there looking to make impactful contributions to our community, Alex’s advice is to simply jump in and contribute in whatever ways that work for you. With numerous volunteering opportunities with the PSF working groups, local meetups, regional conferences, and many more, it is easier than ever to be a part of, and help promote the Python community. As the final note, the PSF would like to congratulate Alex Gaynor again for this prestigious award, and thank him for his continued contributions to our organization in particular, and to the general Python community as a whole. It's October 17th, 2018. I've arrived at Natal, a beautiful coastal city in Brazil's northeast region. Known for its beaches and hotness, it's surprising how I'm not thinking about all the Caipirinhas I'm going to drink at the shore after the conference. My excitement is because I'm going to attend Python Brasil! After six months out of my home country, I'm thrilled to once again join this conference, now as an attendee and speaker. It's only my second edition – out of prior fourteen – but enough to know how great Python Brasil is. Full of amazing people, talks, tutorials and evening happy hours, this is possibly the most fun Python conference in the world. Seriously. 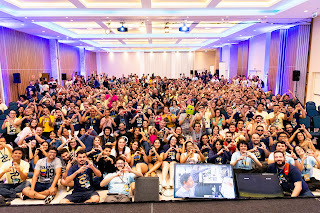 Lasting for 6 days, 784 people attended the event. Out of that, 153 were women and about 120 students. 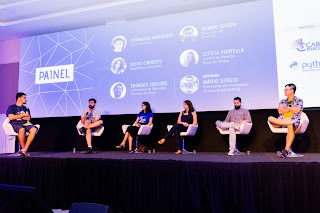 Within 4 different tracks, there were about 120 talks, 30 lightning talks and 6 keynotes, being the first Python Brasil to livestream the whole main conference. Additionally, 5 tutorials, 1 sprint day and 1 independently organized Django Girls were held for those wanting more practical hands on. All of this was possible due to an outstanding organization team and the support and sponsorship from 8 entities. 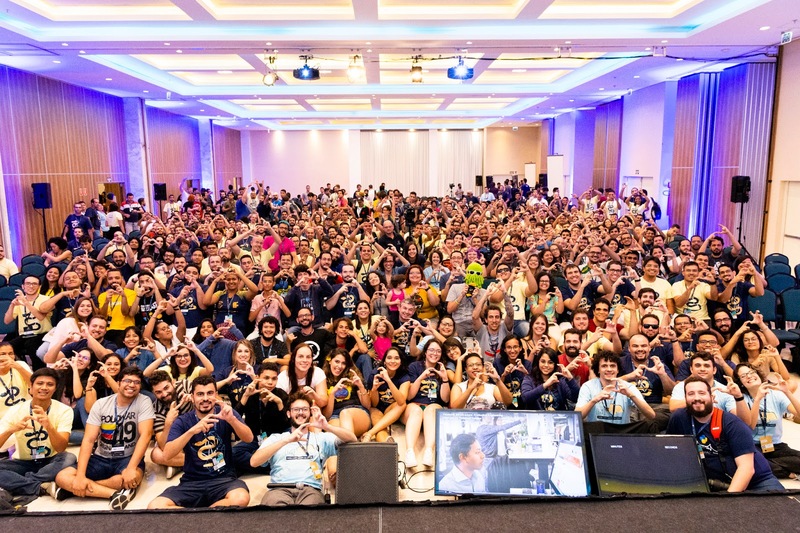 It's incredible how the biggest Python Brasil ever still feels so much like a family. Welcoming beginners is one of the pillars in this community. 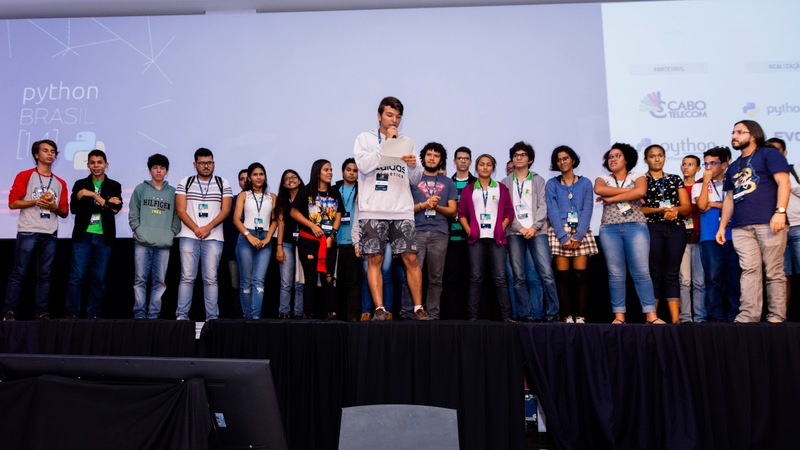 To make it happen, the organization team created a specially priced ticket pack for the IFRN (Federal Institute of Rio Grande do Norte), allowing them to bring over 120 young students from 3 different cities. It was beautiful to see all these students around, watching talks, talking to the speakers and enjoying every moment of the conference. During the sprints, a group of students learned about data scraping. In a world where it is very hard to capture the attention of youths, it was fascinating to witness how they were so focused on learning. It demonstrates how a small gesture – like discounts on a ticket – can change people's lives. 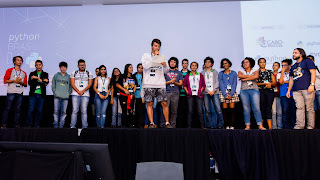 To express their gratitude, one of the students wrote and presented during the lighting talks a Python Brasil themed Cordel – a pamphlet with novels, poems and songs, very popular in that region – bringing some of the attendees to tears. Besides the support for the students cited above, tickets were granted for people unable to pay for them. To justify the concession, the person needed to tell their history. After reviewing the applications, 6 out of 7 tickets were donated. A different keynote was presented on the second day: a panel about Open Data and Civic Technologies. Mediated by Mário Sérgio, five participants discussed topics like what is open data, how our legislation is currently dealing with it, tackling fake news, and what the expectations for the future are. In the light of Brazil's last election – which also happened in October – it was a perfect moment to create a debate and demystify the subject. 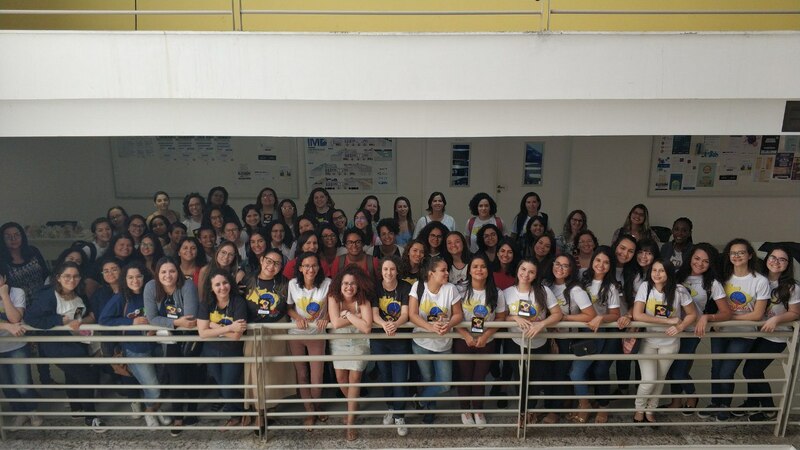 The first PyLadiesBRConf was organized to celebrate the PyLadies Brasil 5 year anniversary. The motto of the conference was to help more women become active members of the Python community, inspiring those who were recently getting involved. 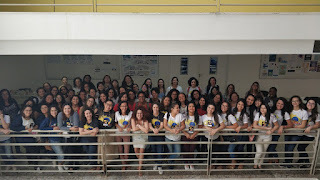 Independently organized by the PyLadies, the conference happened one day before Python Brasil. The event was totally free, receiving about 120 women, with 8 speakers and ending in a fishbowl discussion. Likewise, the whole organization committee was formed only by women volunteers. The main organizer, Débora Azevedo, said that it was five years cultivating the community, involving a lot of hard work to get them to this point. 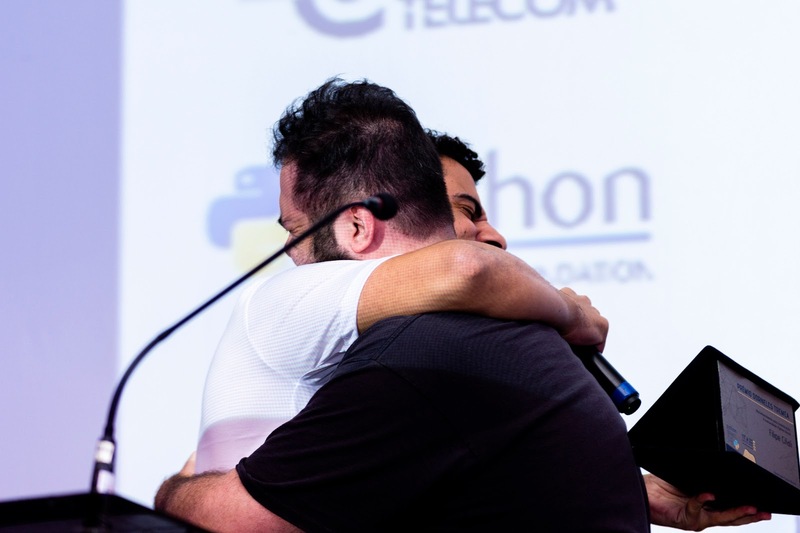 Named after the founder of the Python Brasil Association, the award is a tribute to Dorneles Treméa, a developer, community member, and open source leader, always willing to help and share his knowledge, who sadly passed away in a car accident in 2011. The award is given to the member or members of the Python Brazilian community who keep alive the spirit of collaboration, entrepreneurship, and commitment. In this edition of Python Brasil, it was given to Filipe Cifali, Humberto Rocha and Rudá Porto Filgueiras, for their incredible work at running and maintaining the Python Brasil and the Python Brasil Association online infrastructure. According to the organization committee, scalability and inclusiveness were the biggest challenges for running the conference this year. "The conference was initially planned for 400 attendees, but we ended up with it with 784. Adapting the budget, venues, and logistics was a big challenge." 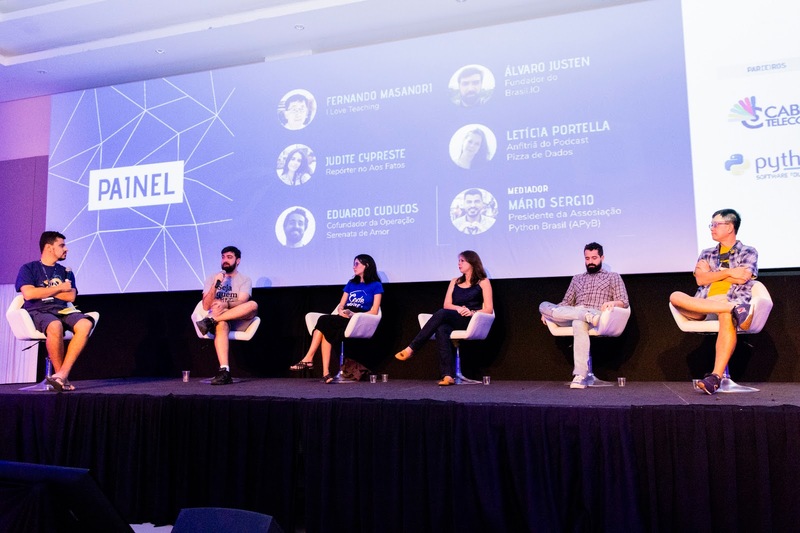 "The challenge was to promote the best infrastructure for the biggest Python Brasil in history, making it a safe space for everyone, not accepting any kind of prejudice or intolerance." When asked about the future of the conference and the community, all of the organizers said they wanted to improve the diversity of the event even further. Having more women attending and speaking, more participation of beginners and more involvement of minorities. Additionally, they all want to have a bigger and more united community, believing in its growth, visibility, and engagement. My first contact with the Python community was at Python Brasil in 2016 and it changed my life. A lot of the experiences and opportunities that I had – personally and professionally – came from being part of it. It's not just about the technology, it's about the people. Of course, this wasn't the whole conference, there's no way to cover every amazing thing that happened there. At least, I hope to get you excited to go to the next one! I'd like to say thanks to all the organization committee and everyone involved in putting together this superb conference and helping me with this article. You can take a peek at this wonderful conference’s photos and videos. The Python Brasil will happen at Ribeirão Preto, in São Paulo. Date still to be confirmed. In the fall of 2018, the Python Software Foundation together with JetBrains conducted the official annual Python Developers Survey for the second time. Much like the previous survey, we set out to identify the latest trends and gather insight into how the world of Python development looks . Over twenty thousand developers from more than 150 different countries participated last year to help us map out an accurate, up-to-date landscape of the Python community. That is more than twice as many Python users participating in 2018 as in 2017. We are super-excited to share the results of the survey with you! View the results of Python Developers Survey 2018! We’re excited to see and share your findings! Please share them on twitter or other social media mentioning @jetbrains‏ and @ThePSF with the #pythondevsurvey hashtag. We’re open to any suggestions and feedback related to the survey so we can run an even better one next time.